It seems with all of his many recent updates, survival reports, and chat sessions over the past five months that G.O has rediscovered his playfulness. I admit that of the many things I so dearly admire about this charming and ever so talented man is his playful mischievous nature. This is something that clearly endears him to all from his family and friends to his adoring G.Oddesses. Yes, G.Oddesses. In his most recent chat session, he returned to referring to his tribe – you know, those of us who call him our bias, as G.Oddesses. That’s kind of romantic to me. But before my heart completely derails here, let me refocus. This post aims at looking at a moment of playful G.O (which of course can easily fall into the romantic category if you are like me and appreciate a playful man with a cheeky sense of humor). Oh my . . . staaaaahp! !~^^ Today, I look back at the very short (but cute) teaser video MBC Every1 released in anticipation of MBLAQ’s variety show, Idol Manager. When MBC Every1 tweeted a screenshot and video link to G.O’s teaser back on 13 August 2012, they wrote: “G.O teaser video revealed~~ Kyaha! 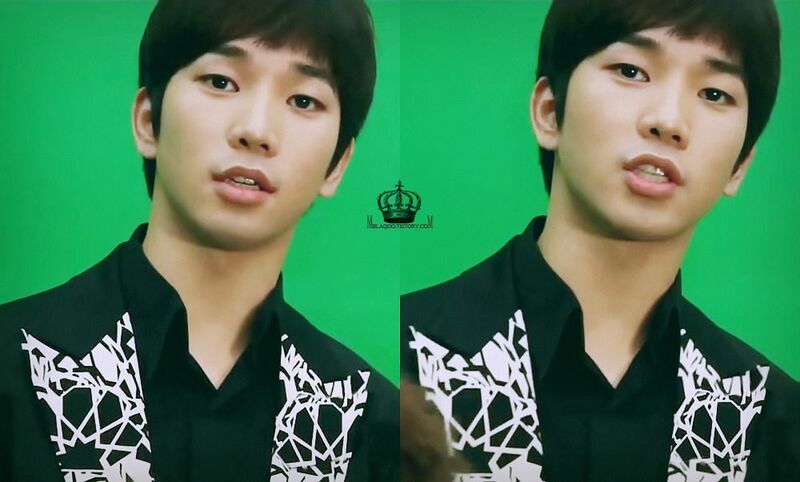 G.O’s so lively!” They could have added a plethora of adjectives to describe the :26 second clip in addition to lively. However, lively sums it up quite nicely. Categories: G.O Military Discharge, MBLAQ Musings, The G.O Files | Tags: G.O, G.O images, G.O on Idol Manager, G.O on Variety, 정병희, 지오, Jung Byung Hee, Jung Byung Hee images, Korean Variety, MBC, MBC Every1, MBC Variety Shows, MBLAQ G.O, MBLAQ G.O images, MBLAQ G.O on Idol Manager, MBLAQ G.O on Variety, MBLAQ Idol Manager | Permalink.